The Easter Parade came again this year. 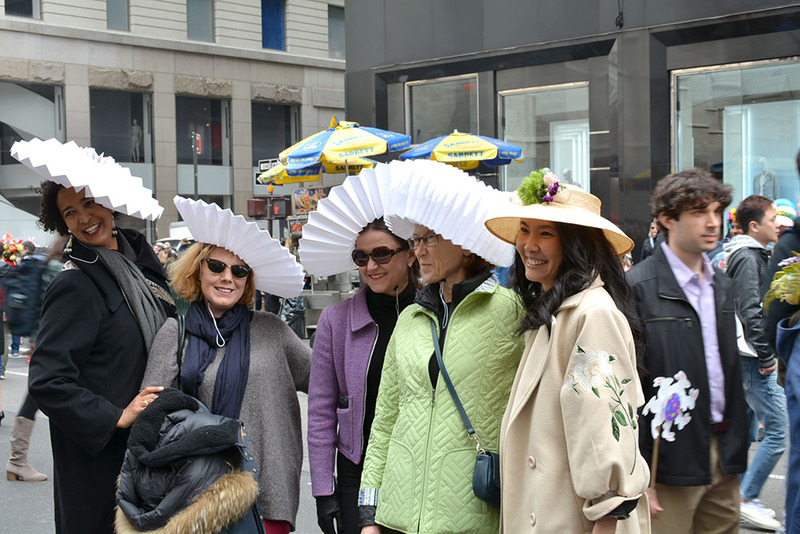 We have been creating new hat forms since we joined the parade in 2013. 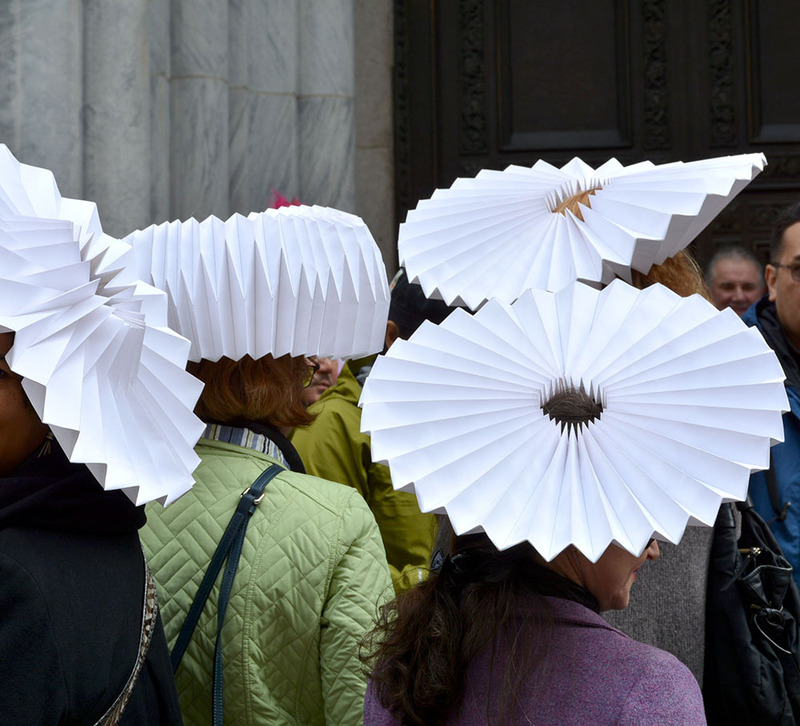 This year we experimented with a series of hats created from a single tube of origami. They are all composed of one sheet of paper (to be precise a tube). Six papers are combined to form a long tube, otherwise one long sheet of paper is cumbersome to handle. Precisely speaking, these final forms are not mathematically “origami”. Making a tube with origami is a precise mathematical process, however when it is bent to become a torus we are using the flexibility of paper. In other words, if the material is very hard it cannot be used to make these hats. 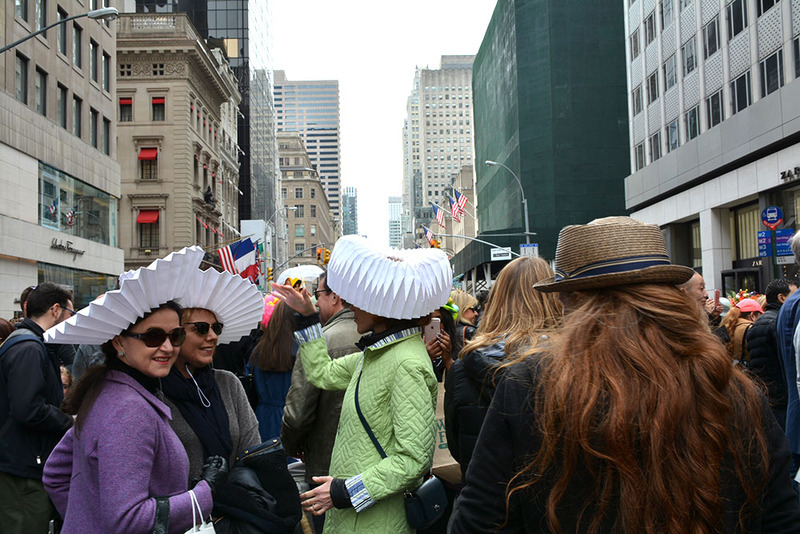 Many people were attracted to these hats and constantly asked for permission to take photos. Some wanted their picture to be taken together with our models. They were amazed with the forms but strangely they didn’t ask any questions. Simply they don’t care how the hats are made? Or they are lost for words as they have not seen this design? Only a friend of ours asked questions to satisfy his curiosity. Isn’t there a kind of colors?